Montuno Producciones y Eventos has just signed up to be part of the Carnet Jove. 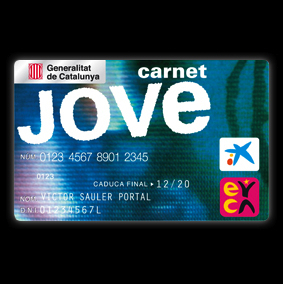 Carnet Jove is a scheme run by the Catalan regional government which offers and promotes cultural events to young Catalans. From the 1st January 2012, Montuno will offer all Carnet Jove holders a 10% discount to concerts promoted by Montuno in Catalonia, and this will include all artists from roster such as the Orquesta Buena Vista Social Club®, Omara Portuondo, Vieux Farka Touré, Roberto Fonseca amongst others.